100 units are packed in 1 carton. Fill media: Tourmaline ceramic ball, Alkaline ball, ORP ceramic ball, FIR ceramic ball, Antibacterial ceramic ball, ect. Tourmaline by the absorption of the body release the far infrared, negative ions, minerals, etc. to improve skin elasticity, promote blood circulation and metabolism. Antibacterial ball, which can kill the bacteria of the water. Place it in the water container and just add water. Shake 15 seconds and in 10 minutes enjoy Hydrogen Rich water for health and vitality. 1. 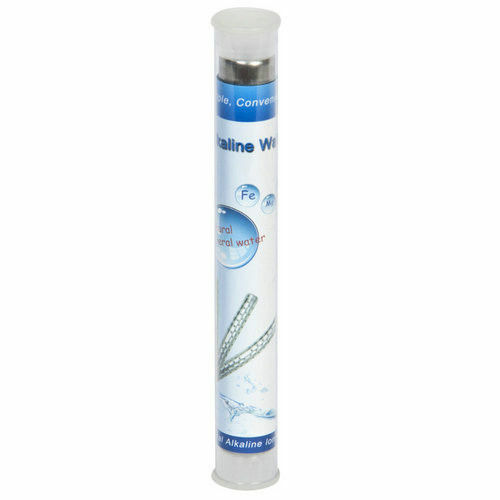 Alkaline water: Make the drinking water to be alkaline, neutralizes human body’s acidic substances and keep balance of the body system. Maintain a healthy pH figure and protect liver from the harm that nicotine and alcohol might do.